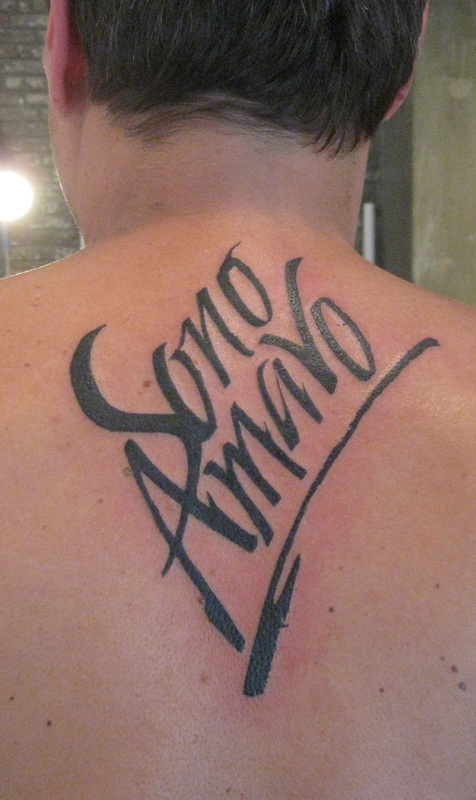 Sono Amavo tattoo (2011). Written with a folding pen, then revised and retouched. My ﬁrst design for a tattoo. The client wishes to remain anonymous.